Combining bold exterior styling and impressive all-around performance, the Honda Pilot is ready for everything, whether you’re out for a night on the town or an adventurous weekend getaway. Its spacious interior with intuitive technology allows you and your friends or family to travel in exceptional comfort, while having fun along the way. The Pilot delivers an exciting driving performance and endless amount of possibilities with its advanced handling, towing capabilities, and adaptability to road conditions. No matter the destination or journey involved, you’ll always arrive there in style too. The Honda Pilot has a unique aerodynamic design that begins with its aggressive front grille, and seamlessly flows along its sleek lines towards its renowned rear lighting. With all these features combined, it’s no surprise that the Honda Pilot is a leader of its mid-size crossover SUV class. What’s New in the 2019 Honda Pilot? Even in an automotive segment as crowded as the one for midsize crossovers, the Honda Pilot stands out as one of the best. Honda upped the stakes for the 2019 Pilot, offering improvements inside and out that make this family favorite even more appealing than ever. On the outside, the 2019 Pilot received some subtle but effective styling alterations that have left it with a more refined and cleaner-looking front grille. With that boost of sophisticated style, you can move into the cabin, where more improvements await. The already-impressive array of technology features adds high-tech options like CabinTalk, an upgraded infotainment system, and a Wi-Fi hotspot. A fresh dashboard design keeps all the intuitive and user-friendly controls safely and conveniently at your fingertips. There are five available trim levels on the 2019 Pilot, and you’re sure to find your perfect pick among the LX, EX, EX-L, Touring, and Elite models. When you’re ready to see for yourself what each has to offer and decide which one is right for your family’s driving needs, turn to Brannon Honda for an amazing selection and fantastic prices! Since its debut in 2002, the Honda Pilot has maintained its position as the largest vehicle Honda has to offer and shares many characteristics of the Honda Odyssey and Accord. After undergoing three generations worth of modifications, it has truly reached its pinnacle in appeal to the North American market. The third generation 2016 Honda Pilot had some of the most significant changes made in comparison to its previous grades, having a sleeker exterior, revamped interior, upgraded powertrain and more advanced safety features. Having exceptional ratings by both IIHS and NHTSA, the Pilot still manages to break new grounds of its mid-size crossover SUV class by exceeding market expectations. 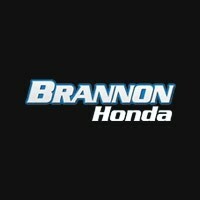 Brannon Honda is a trusted Honda dealership in Birmingham for great offers on both new and used Honda Pilots and other Honda vehicles. Located in Birmingham, AL we proudly serve the Vestavia Hills, Bessemer, Homewood, and Central Alabama regions. Our dedicated sales team and factory-certified technicians offer years of experience to meet the needs of our customers. We know that our customers expect a higher quality of service, which is why we’re fully prepared to deliver and exceed your expectations. Stop by our Honda dealership in Birmingham, AL today to see our ongoing Honda Pilot specials and test drive one for yourself!